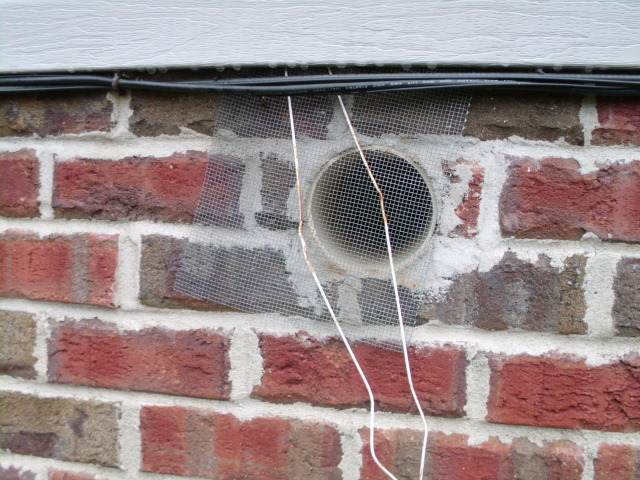 Nashville Home Inspector – Dryer Vent – What’s Wrong with this Picture 10-28-12? Please see the photo below. You are outside a home looking at the back side of the basement exterior wall. What’s wrong? HINT: Hangers belong in closets. ANSWER: Funny thing is it probably does some good. But using a hanger wedged under the vinyl siding to hold a piece of screen over the dryer vent is not in the building code. Or the good idea code. Plus, those little plastic louvered covers are cheap, work much better and pretty much close completely when the air flow stops, keeping most of the bugs out. Little bugs can still get in here. And lint can build up here pretty easily. To comment or ask questions about this article please send email to richard@habitecinspections.com. Nashville Home Inspector – What’s Wrong with this Picture 10-29-12? Do you know the Top Reasons for Hiring HABITEC?